Stila Stay All Day Foundation & Concealer: This foundation is my one true love, it provides flawless coverage on my skin and I love quite a heavy base so this works perfectly. The foundation actually comes with a concealer and applicator too. 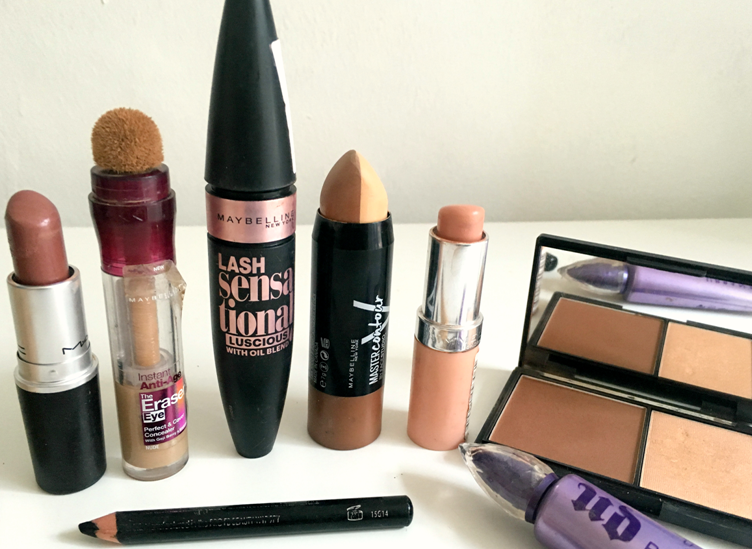 Even though the foundation is thick, it doesn't feel cakey or heavy! Primark eyeliner: Personally I don't think you need to spend a fortune on black eyeliner. This particular eyeliner is easy to use on your waterline and the lid includes a nifty sharpener. Urban Decay Primer Potion: My eyeshadows really don't sit well without a good primer, I bought this particular primer in New York earlier this year and I love how easy it is to apply the product. The wand is soft and flexible and you can really control how much product you apply onto your eyes. Maybelline Lash Sensational Luscious Mascara: One of my favourite mascaras, the brush catches all of my short lashes and you can really create and intense or subtle look onto your lashes. Maybelline Eraser Eye Concealer: This concealer is probably my favourite beauty product, purely because I buy this again and again and I use it for concealing the bags under my eyes and even as a highlighter. The formula is creamy and easy to blend and the sponge applicator is super easy to use! MAC lipstick in Hug Me: I always reach for this lipstick because it is the perfect shade to warm your skin tone up. For an intense look I usually apply the Rimmel Kate Moss lipstick in 45 before to add extra depth to my lips. 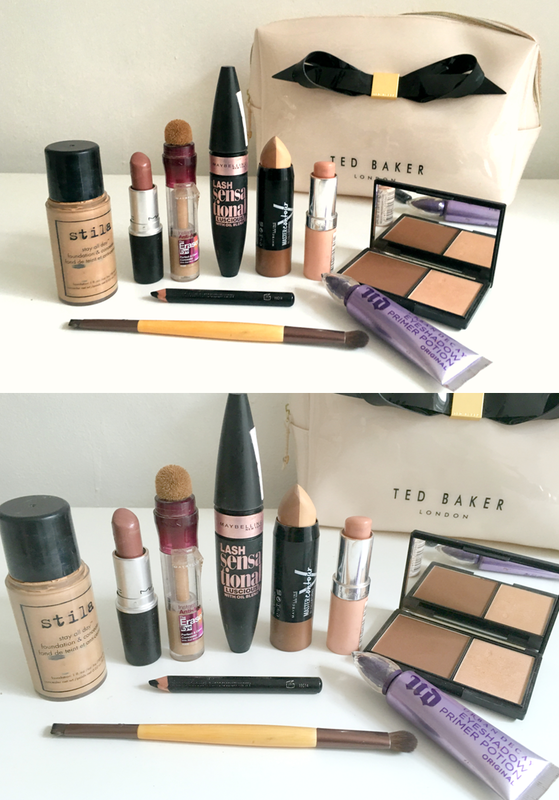 Sleek MakeUp Face Contour Kit*: Although I use the Maybelline contour stick, I do love using this Sleek kit if I am in a rush, the matte powder creates perfect definition without looking oily or cakey. I definitely recommend this kit if you are just starting to contour, the powders are super easy to blend into your skin.